The blockchain technology makes it possible to automate many processes that undergo financial transactions. The blockchain will completely monitor this process and it will not be controlled by any third party(decentralized). 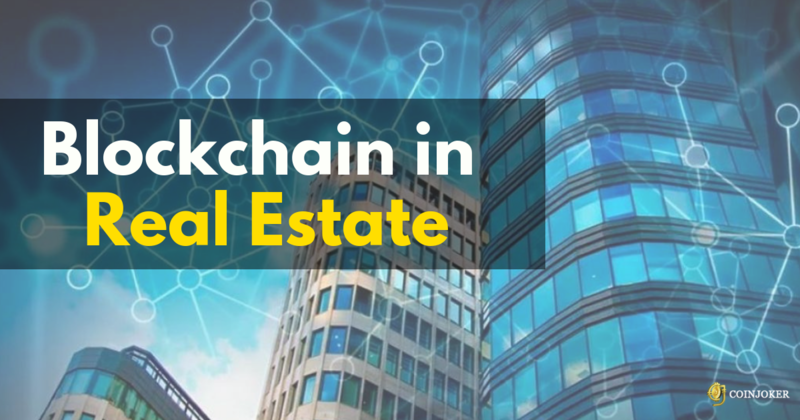 This potential of blockchain technology has created a great impact on the real estate industry, as it makes difficult for hacking the blockchain since it provides a high level of security. If you had a plan to start a real estate website development or to create a real app, you should get aware of a blockchain to think about its integration into your software. Lack of transparency - The traditional real estate business involves huge corruption and dishonesty, this happens because of less transparency. A high level of transparency will strictly oppose corruption, tax avoidance, etc. High fees - If you are involved in investing an international/ foreign real estate, you have to pay exchange fee, transfer fee, broker fee, investment fee, etc because of too many intermediaries in the whole investment process. The possibility of Fraud - Centralized fund transferring is not completely secure. The cybercriminals can easily hack/ steal from the purchase transactions. Transaction speed - The speed of real estate transactions is extremely slow. Normally it will take up to 6 months to find a property and involves another 6 months to complete all the transactions. These are all some of the factors that mainly disrupt the real estate industry. This is where the blockchain comes in. Thus implementing the blockchain technology speeds up and enhances the efficiency of the real estate sector. Blockchain technology helps to collect and stores data significantly, makes huge transactions without any spam. Decentralization and transparency - All the data stored in blockchain are not owned by a single person, that is it can be visible to everyone who is part of the network. Immutable - All the data inside the blockchain cannot be altered by anyone in the network because of cryptographic hash functions. Easier property search - The real estate property owners, sellers, buyers, brokers often look at different properties in multiple locations. Thus the blockchain integration provides an accurate search option. All real estate data property can be exchanged using a P2P network. This makes everyone in the network to access the data which lead to the reduction of cost. Legal issues can be resolved - It involves the lawyer to resolve all the legal activities in order to buy or sell a property. Reduces the need for intermediaries - The technology of blockchain eliminates the presence of intermediaries like brokers who usually costs more. Since the process became automated without any need of controlling it. Smart contract process - Usually many of the buyers get loans or mortgage to buy a real estate property. It takes even a long procedure to get approved from banks. However smart contract development makes it simple to execute all payment automatically. We at Coinjoker offers innovative blockchain development solutions to accelerate your real estate business. Our professional team of blockchain developers delivers services with quality work and better functionality.